The Brimar Guest House aims to make your stay a home from home. 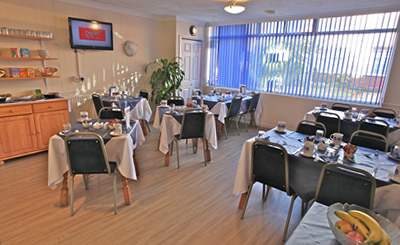 Our facilities include communal kitchens and a large, comfortable breakfast and dining area. In addition to FREE breakfasts, we understand that you may wish to cook for yourself, there is a is a convenience store opposite which offers a range of food and basics which many guests have found useful. 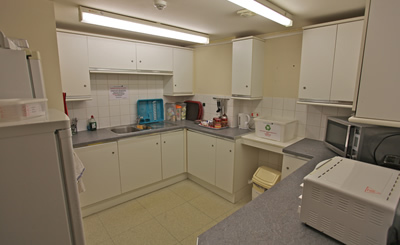 2 fully equipped kitchens are available for guests who wish to self cater. 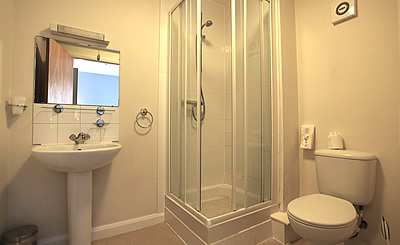 Many rooms have en-suite shower & WC facilities. The spacious breakfast and dining area at Brimar Guest House. In addition to FREE self-service buffet breakfasts, we understand that you may also wish to prepare food for yourself in our two equipped guest kitchens. 2 Fully equipped kitchens are available for guests wishing to self cater.